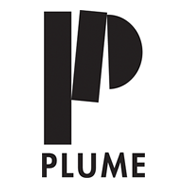 My, understands-my-novel-even-better-than-I-do, agent, Mackenzine Brady at New Leaf Literary, sold my novel to Plume – Penguin Books (USA). There are edits and copy-edits and other things to come, but it will all add up to CALIFORNIUM sliding on to a bookstore shelf not too far from you (almost anywhere you are, they tell me) in May, 2016. Feeling so very, very thankful.